TSW Watkins twists into action featuring true directional movement on left and right sided wheel faces. The TSW Watkins twists into action featuring true directional movement on left and right sided wheel faces. Split five spokes are twisted along the center like a throwing star swooping into action. Each spoke is then carefully tapered to acuminate a sharp sleek edge met by an intricate lip that sheaths everything together. 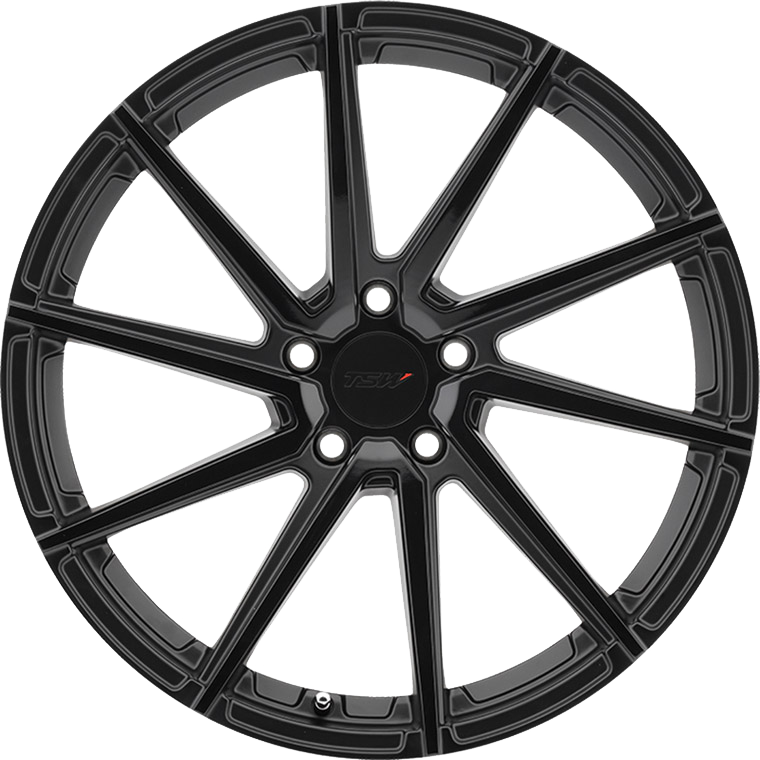 Available in a Double Black - Matte Black with Gloss Black Face the Watkins is the perfect aftermarket alloy for anyone looking to spruce up their vehicle. TSW Watkins wheels are made with max concavity in mind and are also made with max brake clearance. The Watkins Rotary Forged® Wheel /RF™ Wheel is manufactured using a highly advanced production technique called Rotary Forging® /RF™. The rim of the wheels is forged at high pressure while the wheel is spun at high speed. This alters the molecular structure and enhances the strength of the alloy. The benefit is a much lighter weight than a regular cast wheel. Most importantly, the weight saving is in the outer rim of the wheel which dramatically reduces rotational mass and enhances vehicle performance.